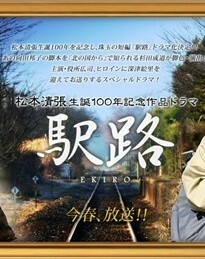 In "Ekiro," a bank employee suddenly goes missing right after his retirement. Yakusho stars as the veteran detective in charge of the investigation, who is on the verge of retirement himself. All he seems to uncover are more mysteries, but one woman (Fukatsu) comes up during the investigation, and it seems that she may hold the key to the man's disappearance.